Give your celebration that extra WOW factor with our candy cart. 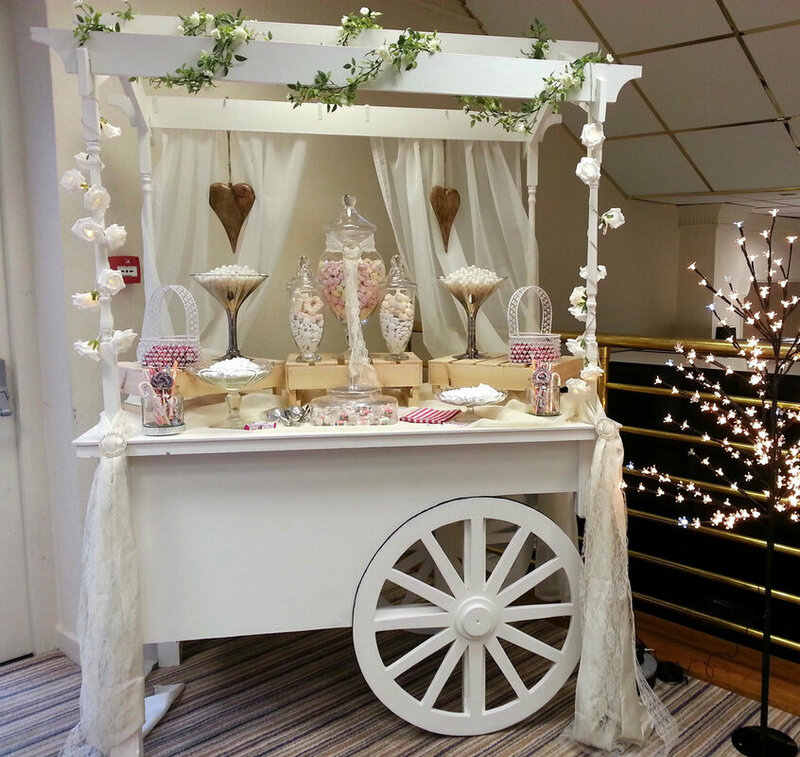 Our beautifully handcrafted candy cart is available to hire fully stocked with a selection of your favorite sweets for any special occasion including weddings, parties, graduations, 18th, 21st, 50th, sweet sixteen and corporate events. Our specialised service promises to make your event even more memorable by providing a real talking point and ‘WOW’ factor for your guests, one which will bring back sweet memories to both young and old. We have packages to suit all parties and budget sizes. The carts can be filled with all your favorite sweets, you can choose from different packages we have available to suit your party size and your budget! 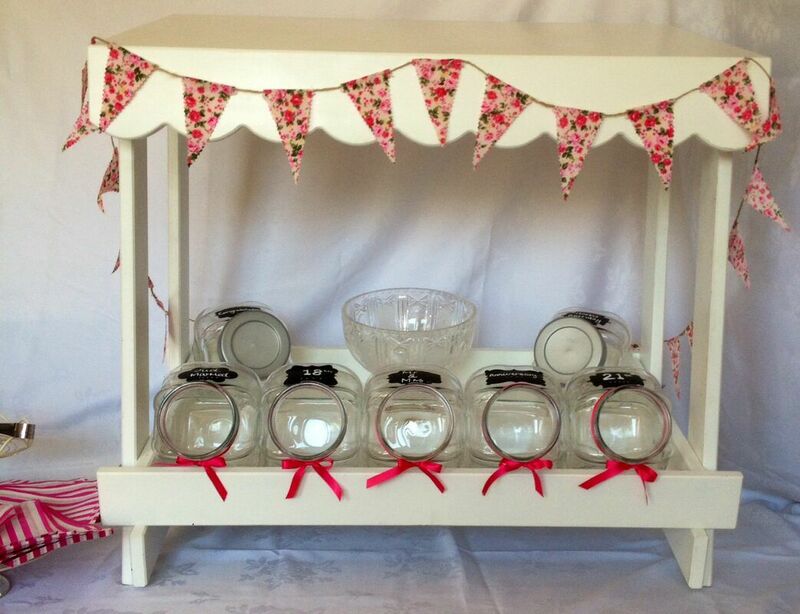 Our DIY table top candy cart for hire from £50, includes jars, scoops, tongs. Ribbons and bags. Can also supply with sweets. Contact us for more information. This cart is ideal for a smaller event, up to 60 people. The cart is for 4 hours hire and will be delivered and set up for your event. 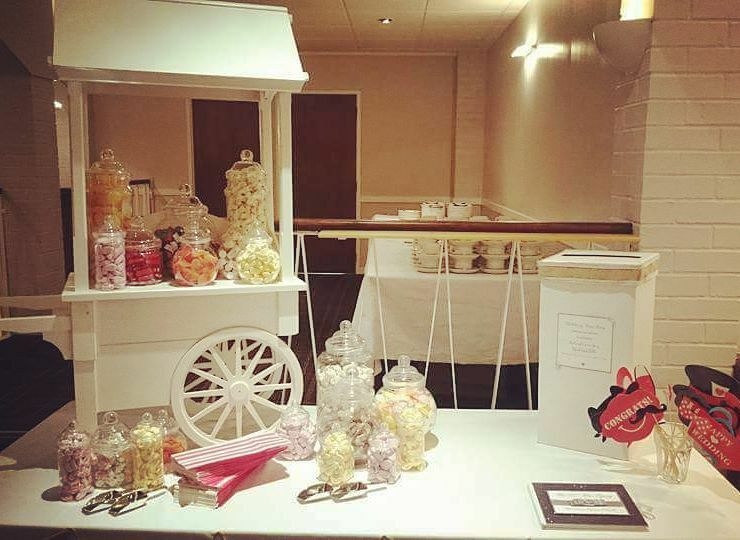 It can be decorated to colour co-ordinate your event, it includes 6 choices of sweets from the list, glassware, tongs, scoops and sweet bags. Based on a generous 150g of sweets per person. A great package for medium sized events for up to 120 people. This includes a colour-coordinated cart, to co-ordinate your event. The cart is for 4 hours hire and will be delivered and set up at your event, this package includes 8 choices of sweets from the list. All glassware, tongs & scoops are provided along with sweet bags. This package roughly caters for 120 guests. A great package for larger events. 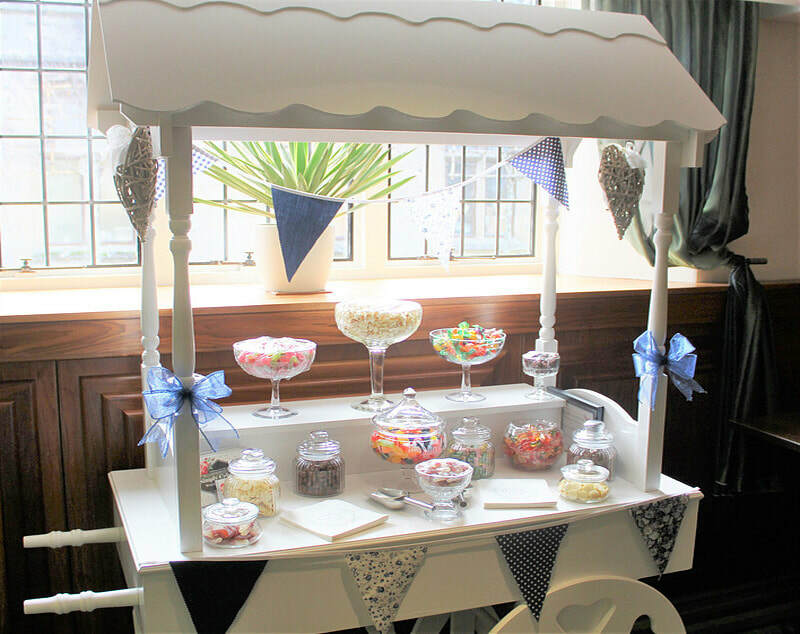 As normal we deliver & set-up the cart at your venue, and supply a great selection of confectionery. 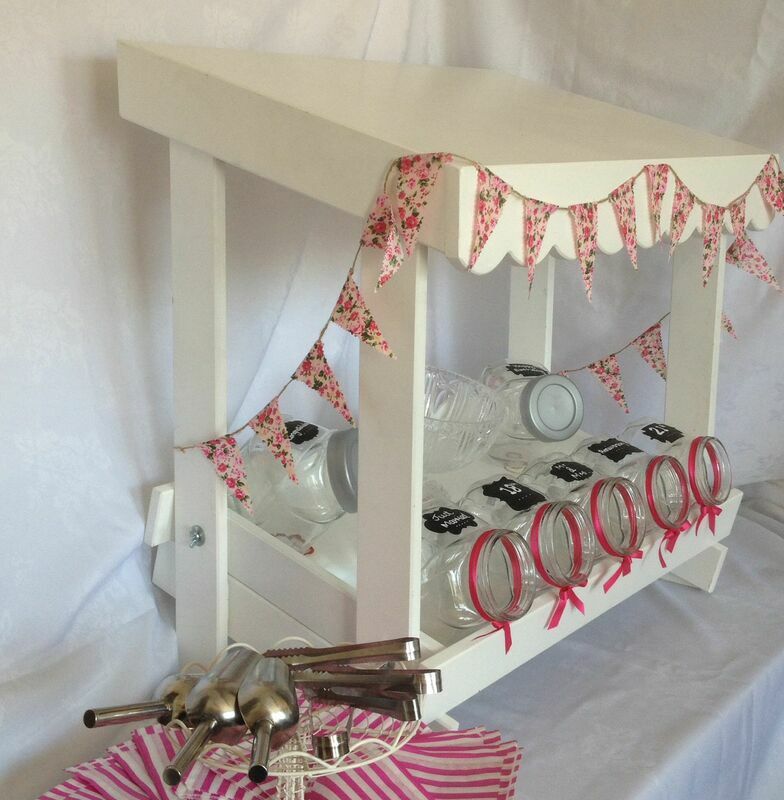 The cart will also be colour co-ordinated to match your event. Serves up to 200 guests with 10 different sweet choices, and comes complete with all glassware, tongs, scoops & sweet bags. The cart for 4 hours hire and will be set up at your event. The glassware will only hold a certain amount of sweets, so will need to be re-stocked during your event. Based on a generous 150g per person. Looking for something for the kids???? CLICK HERE to request information or complete a booking form. Please note: Price includes delivery within 15 Miles of our Alness based office. SAFETY INFORMATIONPlease be advised that some of our sweets may contain nuts or have traces of nut oils, they may have also been in contact with products and sweets containing nuts. Sweet Pickings cannot be held responsible for any issues resulting from any food allergies. Please be aware that some of our sweet jars are glass, customers should ensure that children are supervised at all times to avoid the risk of suffocation or chocking from sweet wrappers and sweet bags. Highland Castle Entertainment cannot be held responsible for safety issues which occur from the use of our equipment or consumption of our confectionery at your event. ​Below is a list of popular sweets available to choose from, for all your sweet buffet & candy cart events hire. Even if you don’t see your favourite listed please let us know and i am sure we’ll be able to help you. Please note when making your choices that soft sweets are always more popular at events than boiled or feel free to let us pick the most popular choices for you. Setting up the candy cart should take around 1 hour. We will aim to arrive the morning of the event. However this will be confirmed during booking.